This week we shipped several units of tandem shale shaker to Middle East for oil service company. 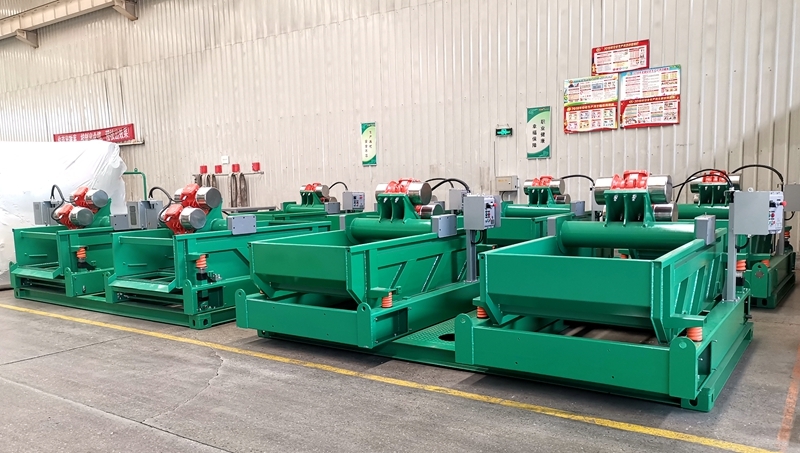 The shale shaker is linear motion single deck 4 panel shale shaker, the 2 units of shale shaker installed on one tandem skid for convenient transportation and installed on the solids control system. 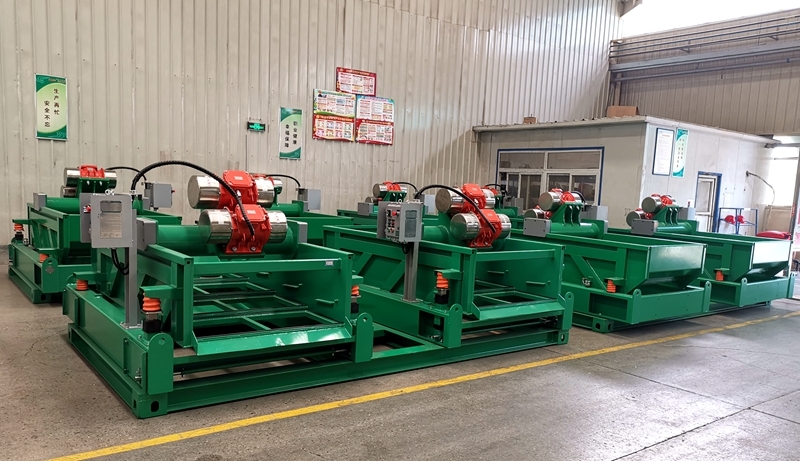 The complete unit of the tandem shale shaker is up to 1200gpm for WBM, OBM, SOBM, the actual treating capacity will depend on the density& viscosity of the drilling fluids and API mesh size used. GN solids control produce composite material shaker screens from API 20 to API 325, GN brand shaker screens are all compliant with API RP13C standard. 5) The possem belly for the tandem shale shaker as drilling fluids flow distribution are included in the package. Container loading size for convenient transportation. 6) Adjustable G force up to 8.0 G, the shaker deck angle adjustment from -1 to +5, the both sides of the shaker deck will be adjusted simultaneously. Except for shale shaker, we also produce mud cleaner, decanter centrifuge, vacuum degasser, mud agitator, centrifugal pump, mixing hopper, mud gun, mud gas separator, vertical cuttings dryer, mud tank, drilling waste management system, oil sludge separation system, pls contact with GN solids control for more information. Welcome to visit our stand at CIPPE 2019 and OTC 2019, we will show our high quality products at the oil exhibition.